The Boardwalk Sampler gift basket provides a sampling of some of our most popular candies and is sure to be a hit with family and friends. 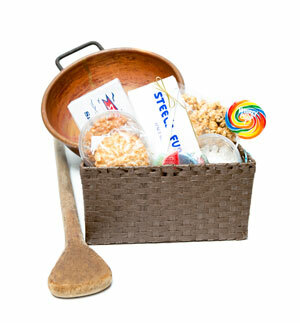 Give this basket to a special someone and he or she will satisfy their sweet tooth. This basket includes a $15 shipping surcharge.